The contract for your lessons is between you and your instructor. who is a self employed franchisee of Fulham Driving School Limited. You and your instructor are therefore responsible for arranging payment, block bookings and for making arrangements such as lesson dates, duration, pick up and drop off location and so on. To book lessons with us you must ensure that you meet all relevant legal and medical requirements to drive. 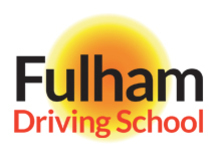 You may contact Fulham Driving School if you have any concerns in connection with your lessons. If you fail to cancel any lesson and your instructor arrives at the agreed pick up point, or if you give less than 48 hours prior notice that you have to cancel a lesson, you will be charged 100% of the price of the lesson. If you wish to cancel a lesson due to sickness or ill health, you will need to contact your instructor before your next lesson to confirm it. If an instructor has to cancel a lesson, you will be notified as quickly as possible and if this happens your only entitlement is to have that lesson re-arranged. If you are likely to be late for a lesson, you should notify the instructor by text before the lesson as the instructor will only wait for 10 minutes at the agreed pick up point. After 10 minutes the lesson will be treated as cancelled and you will be charged 100% of the price of the lesson. If the instructor is likely to be late for a lesson, for example, due to traffic conditions or other delays then you will be contacted as quickly as possible. If the delay is likely to be more than 15 minutes, you will be given the option to re-arrange the lesson and that will be your only entitlement. If the delay is likely to be 15 minutes or less, then the lesson will go ahead but the instructor will add the time to your next lesson. You can pay for lessons in block booking multiples of 10/12/20/24/36 lessons, and in return we will reduce the price of each lesson. You are committed to have the number of lessons in your block booking. If you wish to cancel a block booking, you will be entitled to a refund of the amount not used by you less the difference between the full price of each lesson taken as well as a cancellation fee equivalent to 10% of the total block booking price, or the value of any unused lessons in a block if that is less than the 10% fee, to compensate us for our administration costs, processing costs and the termination of the block booking. Any block booking must be used within 6 months of payment being made, and you are not entitled to a refund for any lessons that are not booked within this 6 month period. The price for your lessons may be increased by us at any time on giving you at least one week notice. Block bookings and intensive courses only valid when paid in advance and are non-refundable and not transferable to another instructor. You are responsible for your belongings and neither us nor your instructor will be responsible for those belongings. You are also responsible for any damage to the vehicle resulting from your acts, omissions or misuse. The prices for block bookings will only be increased if you do not take all the lessons in that block booking within 6 months of payment. Where we have agreed in advance a time for a block booking or advanced driving lesson, we will not be able to refund to you any lesson that is scheduled for a time within a two week period from you seeking to cancel that lesson. This is because we schedule our time and once booked in our diary the time is allocated to you and it is not normally possible to reallocate that time on less than two weeks notice. All refunds of payments made directly to Fulham Driving School as agents for your instructor will only be made by cheque even if you made the payment by cash. Any payments that you make directly to your instructor that have not been passed to us will be refunded to you by your instructor, and we will not be responsible for any shortfall owed to you by the instructor. We will however help you with resolving any discrepancies that are brought to our attention, as long as you can show us with receipts or payments made by your bank the payments made by you so that we may properly check any discrepancy. We may deduct from any refund that is agreed any sum that is payable by you to us or the instructor including, without limitation, cancellation of block bookings or lessons. (c) Any loss of earnings caused to us as a result of cancelling or rearranging lessons due to the RTA. Any such losses will be limited to cancellations made on the same day. and these will be passed to you when the penalty charge notice relates to a contravention when you were driving the vehicle. 3) We reserve the right to cancel your driving lesson if our instructors know or reasonably suspect you are under the influence of drugs or alcohol, are otherwise impaired or we reasonably believe your driving to be dangerous or illegal putting you, your instructor or the public at risk. In such circumstances we will charge the full amount of the cancelled lessons. We also reserve the right to cancel your lesson or block booking if we reasonably believe that you are not making progress with us. In such circumstances we will refund you the value of any unused lessons in a block less a 10% fee, to compensate us for our administration cost, processing cost and the termination of the block booking. We reserve the right to revise these terms and conditions at any time without notice to you but will endeavor to bring any change to your attention as soon as possible.